The Hill House is considered to be Charles Rennie Mackintosh's domestic masterpiece. Thermographic imaging has revealed the severity of water damage to a renowned Charles Rennie Mackintosh property. The survey, carried out in partnership between the National Trust for Scotland, which owns and cares for The Hill House in Helensburgh, and Historic Environment Scotland, shows the extent of the damp and water damage to the building. 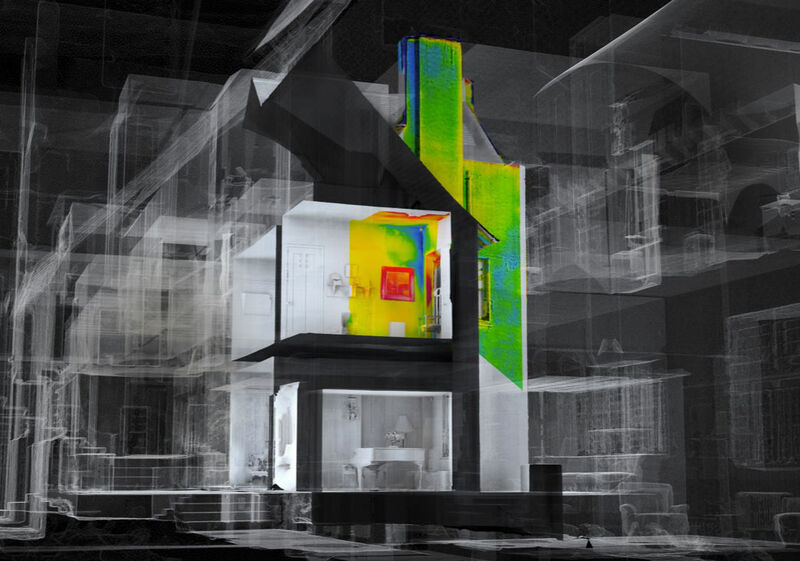 Infra-red thermographic (IRT) imaging records differences in surface temperature, which give an indication of where moisture from decades of wet weather is retained within the building fabric. A previous survey was carried out in 2003 at the site and these fresh images have been combined with new 3D digital survey and microwave moisture readings. The three surveys allow building conservators to pinpoint areas of damp, and further understand the declining condition of the property. Since it was completed in 1904, years of wind and rain have caused significant issues with water ingress. The conservation charity is in the process of surrounding the building with a mesh structure to protect it from the weather. 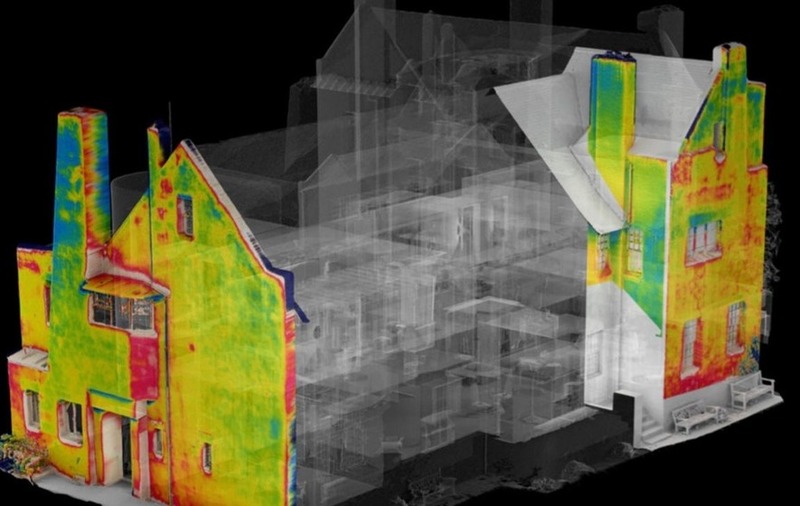 Richard Williams, general manager for Glasgow and West at the National Trust for Scotland, said: “By combining the infra-red thermographic survey, the 3D scan and the microwave readings we have a very powerful tool to aid our technical understanding of the complex problems at The Hill House, and a robust baseline before we surround the building with its protective shield. “We also now have additional areas of concern, such as large sections of harling that have become disengaged from the walls where damp is accumulating, and internal walls we hadn’t realised were so damp. Dr Ewan Hyslop, head of technical research and science at Historic Environment Scotland (HES), said: “We’re very pleased to offer our skills and expertise to support the National Trust for Scotland in this important project. The house and gardens are currently closed to the public but are expected to reopen in late spring this year. Donations to the appeal to build the box shield around the house can be made online at: https://www.nts.org.uk/Campaign/Help-us-save-the-Hill-House.